We are done from uploading the last UAE Sharepoint User Group Session done by me explaining SharePoint as a basic concept. Do you want to know what is SharePoint as a concept? Do you want to switch your career to SharePoint? Do you want to scratch the surface? 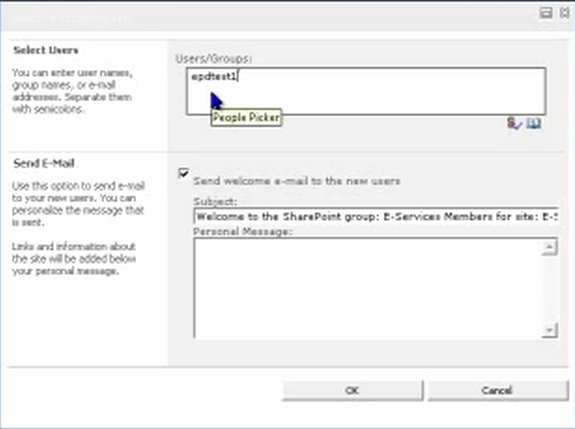 You should not miss “UAE SharePoint User Group” Online session today! What is SharePoint? Is it a web site?! Is it an online collaboration tool?! Is it a project management software?! Is it a business intelligence tool?! Then what is SharePoint in real? SharePoint is a business collaboration platform that can be customized to fit the business’ needs. Microsoft has been updating the SharePoint versions over the years to enhance its functionality and features, the latest vision is SharePoint 2013. Are You an IT Student, an ASP.NET Developer, A SharePoint User, Software Project Manager…? And do you want to know what SharePoint is? UAE SharePoint user group is conducting 4 free online sessions covering new bits in SharePoint 2013 for IT pros and developers topic by Jamil haddadin and Muawiyah shannaq, our first delivery session will be on Wednesday 27-Feb-2013 at 08:30PM(UTC+04:00) which will cover “SharePoint 2013 – What’s new“; expected audience will be IT Pros and developers. *Spoken language is Arabic. English sessions will be provided after completing this series. I have been asked about SharePoint 2010 interview’s questions several times, these questions are suitable for both Junior and senior level SharePoint developers; measuring the knowledge level should be on how deep you go in discussing the answers. These questions are categorized into Administration, Branding & Development since I believe that good developer should have fair understanding of several SharePoint administration topics in addition to full understanding of SharePoint Branding structure. This interview should be done by somebody who has a deep SharePoint knowledge, the questions here should be handled as a starting point for discussion rather then regular Q/A interview; this interview should take 20 to 40 minutes. What is SharePoint foundation, SharePoint server? 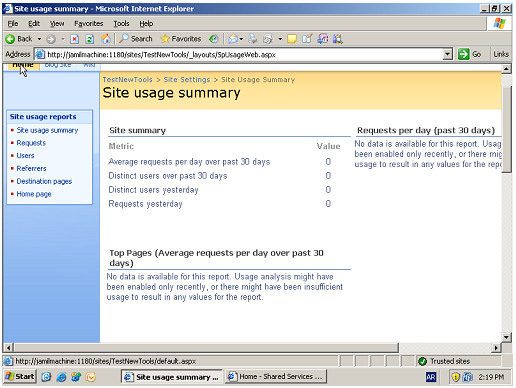 What are Site collection, web application, IIS virtual directories? What is Document library, what is a list? What types of authentication that are supported by SharePoint? What are site users, groups, and permission sets? How many master pages in the site collection? What are the navigation options in the master page? 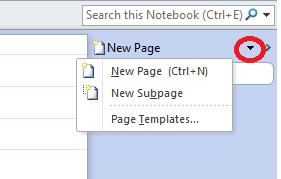 Where is the CSS file in SharePoint, Images? What is the best practice? How can I override an internal CSS style? How do you develop webparts? How can you expose Webpart’s property? What is application page? Content page? What is SharePoint solution (WSP)? What is list definition ? What is the CAML, How do you get an item from List? 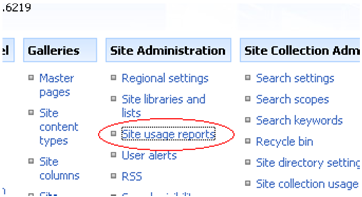 How do you add JQuery support to SharePoint site? What is the different between GAC deployment and bin deployment. After writing Gathering requirements for business automation (workflow) article; where I tried to explain in details how to gather requirements from business users in a way that facilitate sofware implementation process, the previous article was generic and can be applied on any technology platform. In this article, I will discuss how to convert this requirements into a real implementation utilizing SharePoint Server 2010, Microsoft InfoPath 2010, SharePoint designer 2010, this solution is done with out of the box features available in those applications without the need to write any line of code. This article needs 75 minutes to fully read, understand and practice. Active directory ( or may be local windows users ) that contains 3 already create user accounts. Users who read this should have fairly good knowledge in SharePoint 2010 ( as administrator or end user, not developer), basic knowledge in SharePoint designer 2010 and Microsoft InfoPath 2010 (or 2007). I recorded 7 videos and added them before that starting of each section, so you can either read the section or quickly go through the videos. 1.2 Activate SharePoint Server Enterprise Site Collection Features. As you will see from the plan, I will not go through the business case which is the Leave Request business process as every thing was detailed in the previous blog, so I recommend to spend 5 minutes and go through it before starting the technical implementation. – Do the same for the 3 users, Employee, Team leader and Human resource. 2. 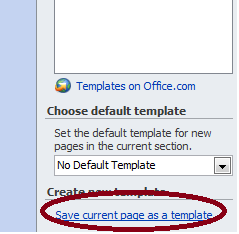 Build the leave requests SharePoint list. – (in SharePoint main navigation ) Go to Home || (On Quick launch) Lists || Create || (optionally type Custom in search box) Click on Custom List || (in List Name text box) Type Leave Requests Container || Click Create. Then we will create all the needed columns… let us go! 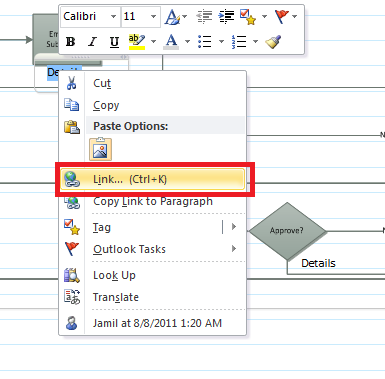 (On Quick launch) Click Leave Request Container || go to (in list ribbon) List tab || Click on Create Column. 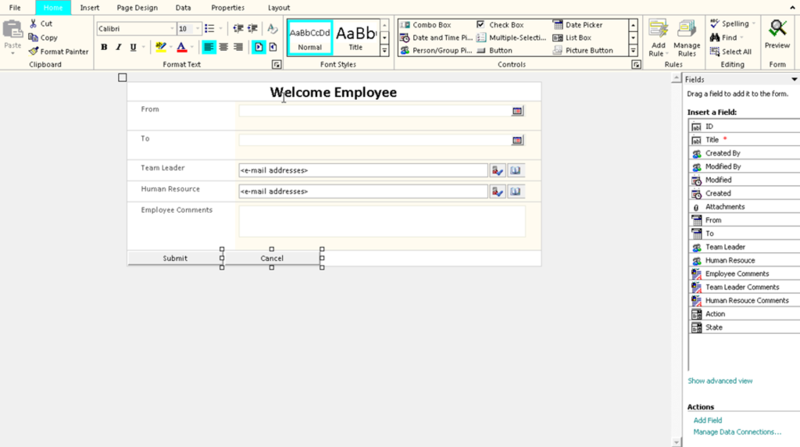 As you will see later on this tutorial; The only way of communication between InfoPath and SharePoint designer workflow is through list fields, so you must create a field for any value that will be needed in the SharePoint designer, for example we will send and email to Team leader, so I added a fields called Team Leader so I will get his email in SharePoint designer from the Team Leader Column. I am using abbreviation for actions; SE is Submitted by employee, AT is Approve by Team Leader, RT is Reject by Team Leader, AH is Approve by Human Resources and RH is Reject by Human Resources. As a result of the previous point, we will always load the proper view according to the current state & – sometimes – current logged in user. At any moment, workflow is expecting an action from a specific user, so we should pay attention that the user is accessing the form in the right time. (for developers ) If we think in N-Tiers architecture way; InfoPath represents the presentation layer. 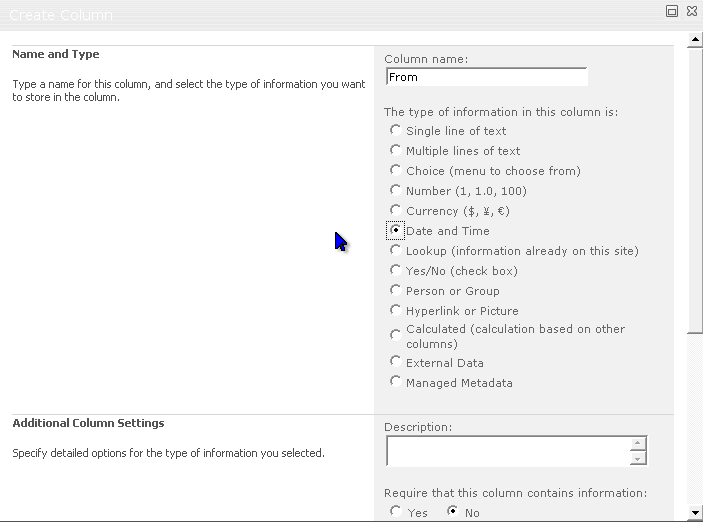 Note: If you are not seeing this option ( Customize forms ) please go to step 1.2 Activate SharePoint Server Enterprise Site Collection Features. Field Name Why we remove? Attachment In our case there is no need for attachments, but –for example- if you are working on a sick leave business case; it would be nice to have attachment for users to place there medical reports as attachment. 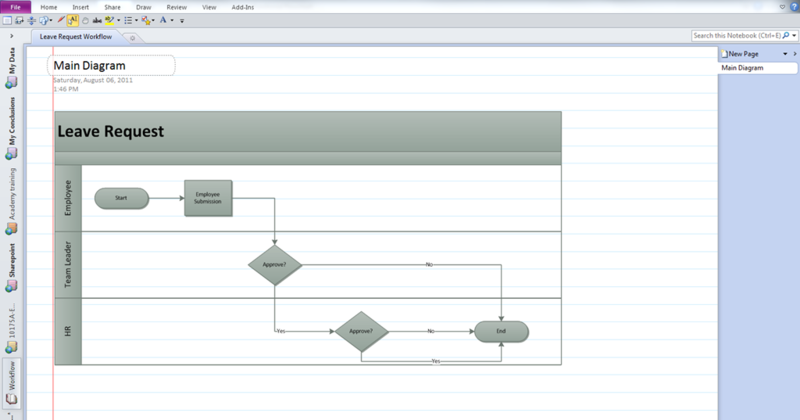 State State will be managed through SharePoint designer workflow so you will not set it from the InfoPath at all. 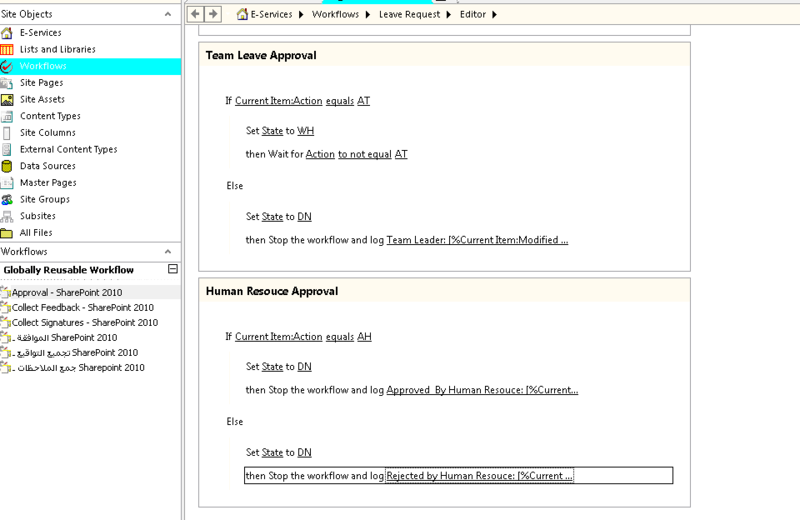 – Paste the selected controls into EmployeeView. 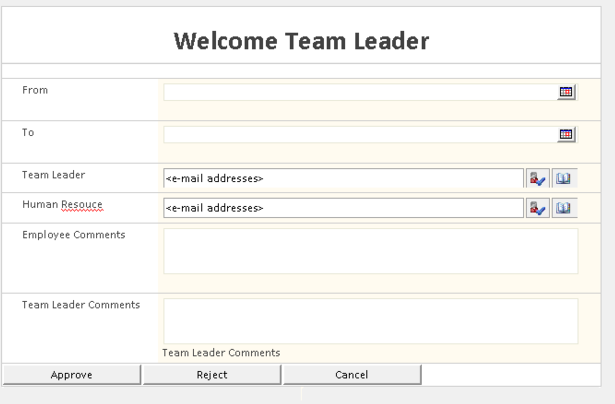 then add a title for this form “Welcome Employee”, then remove Team Leader Comments & Human Resources comments. AccountId for people picker returns a string on the following format “DomainName\UserName” but UserName() function on the InfoPath build-in functions returns a string on the following format “UserName” so when checking on the current user; you need to compare using like this AccountId == concat(“DomainName\”,UserName()). 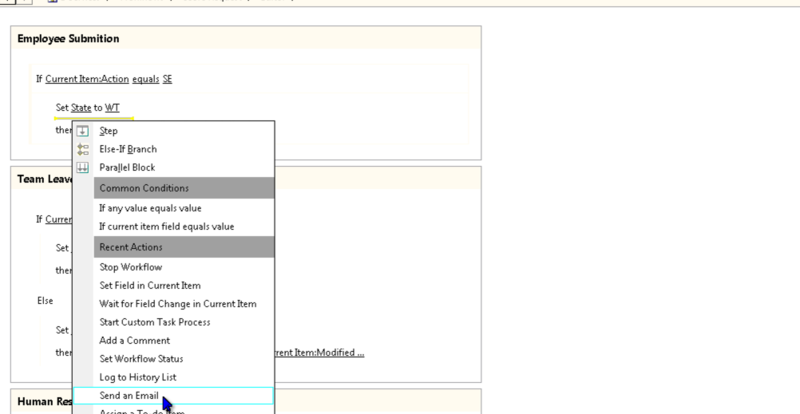 The right way of handling the access denied is using SharePoint SPItem event receivers, so that you need to manage the permissions on the list item through SharePoint object model ( item added & item updated events) but this is out of the scope of this document as everything should be done out of the box without any line of code. 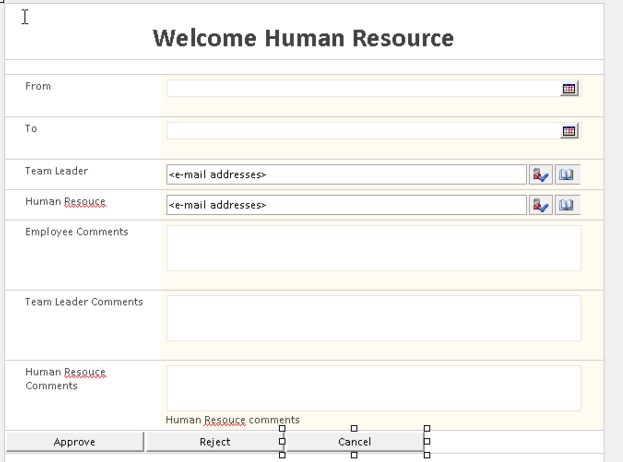 Selecting Team leader and Human resources by the employee is not common case, most likely you will have those values stored in SQL or Oracle database or may be in some SharePoint list or in Active Directory structure, you can connect to these sources using InfoPath receiver connections and filling them on the Form load rules, but I did not implement this because internet is full of articles talking about this subject. 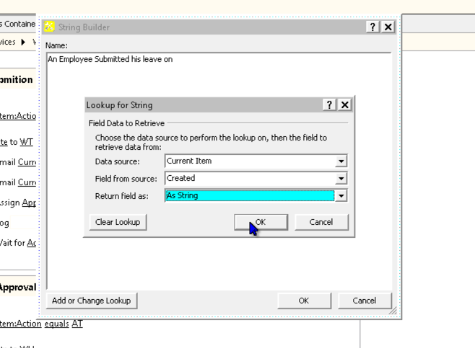 check this example – getting user information and set people selector value for more information about this. 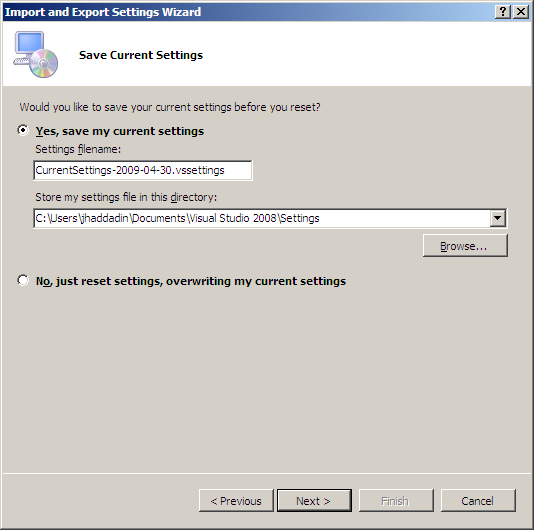 3.2 Disable enable controls according to current state. As we may know, and according to the analysis in the previous article, some of the controls should be editable and others should be read only, so this part of this article will discuss how can we achieve that using InfoPath forms. 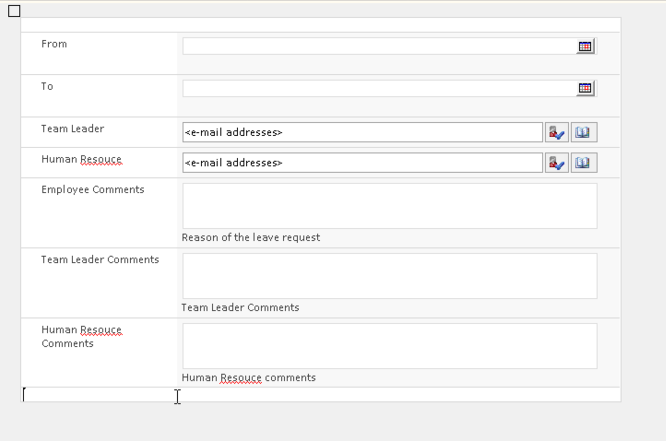 3.3 Validating and submitting the leave request. 2- Complex validation: this is the validation that depends on some business like the comments of team leader is required only if the decision is rejection. – Go to EmployeeView || right click on From Control || Date Picker Properties || (under Data Tab under validation group) check Cannot be blank. – From start menu || SharePoint designer 2010 || Open Site || Locate your site collection (where you created the Leave Request Container list ) || Click Open || enter username & password if needed. 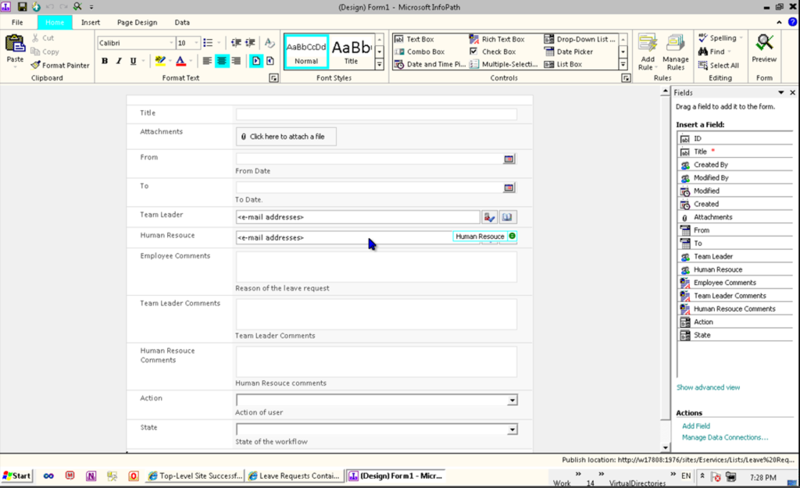 Description This will handle the business process of the leave request. 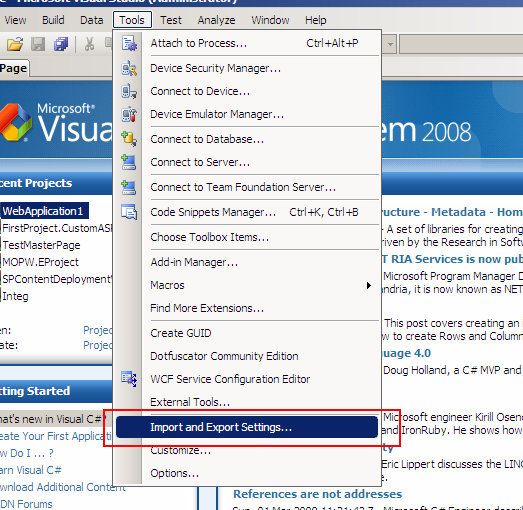 – ( inside the Employee submission step) click on field and select Action and click on value and select SE. – Click on Save Icon. 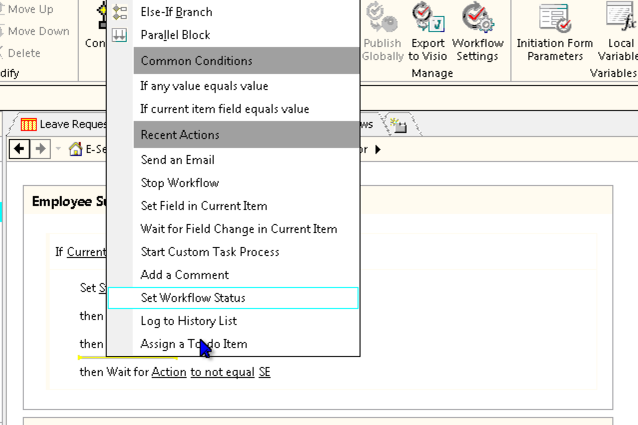 Go to (on the Site Objects menu) Workflows || right click on Leave Request || Workflow Settings || under the Start Options clear the Allow this workflow to be manually started and check Start workflow automatically when an item is created. Now workflow should be deployed on the list and you can test that the workflow at this stage! 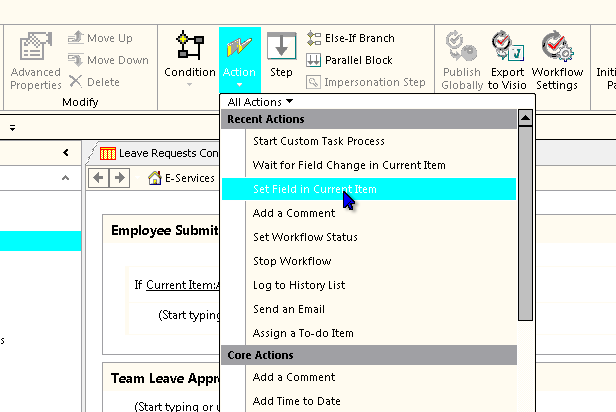 – Go back to the workflow designer || right click on the small space under Set State to WT in the Employee Submission step || select Send an Email. – Again… Click on Publish. Remember that the only way of communication is through list fields. 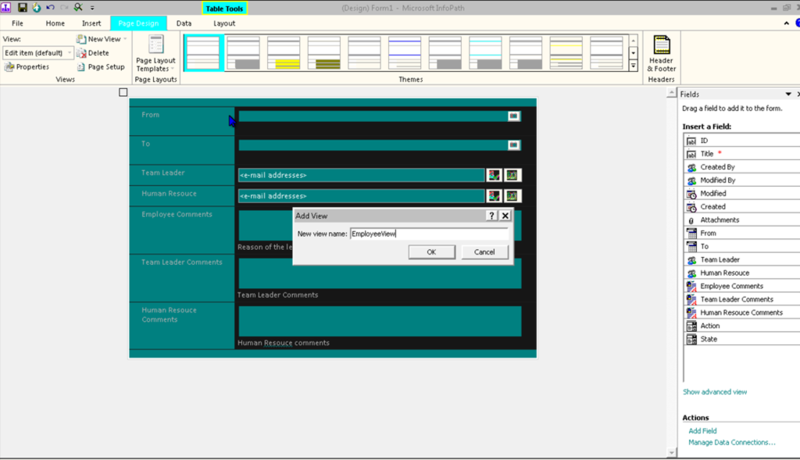 Then InfoPath form views will be loaded according to this state. InfoPath forms & SharePoint designer workflows is a good option for somebody who doesn’t know how to code, or for some quick projects that doesn’t not need that customization, as you can see; there is still some limitations in the UI or on the pattern that is followed in the process; As you can see; 1 hour was enough to finish a business process that may be fully utilized in a real life scenarios ; so this is the value of SharePoint out of the box implementation. Manual processes are well-known and practiced by people (Customers) who doesn’t have IT background : converting a manual process to a real efficient automated process needs some creativity, imagination and good analytical skills adding to that some strong IT knowledge which is not easily found in a normal business user. Documentation availability: most of the times; documentation of business processes is missing or out of date and most of the context is known by heart. Process engineering: process engineering is the step that should come before starting the IT analysis process, but – unfortunately – this activity is often ignored, and if it is not ignored; it usually done by purely business people who does not consider Information Technology standards, best practices and limitations, so you will find a lot of missing details that highly affect the process and some non-practical assumptions that are difficult to implement. Change Management: Technically; changes on Workflow and business processes in IT projects are extremely expensive; so it is always better to have a complete understanding of the business before starting the technical implementation. 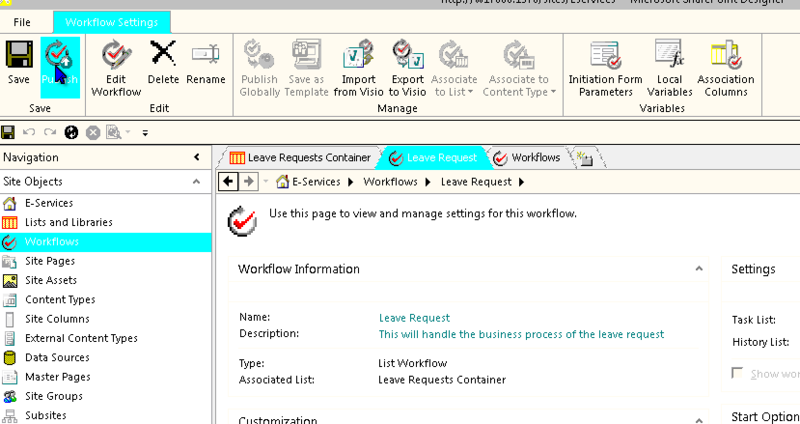 So this article will simply give you – as an IT person – a full guidance; utilizing some simple tools (Visio and OneNote); on how to gather a requirements from a client during the analysis phase for workflow based business, and for illustration purposes; I utilized the leave request business process as real life example. This article will take 15 minutes to fully read practice and understand. In this article I am using Microsoft Visio 2010 and Microsoft OneNote 2010, However; it is not a must to comply with the those versions. Users who read this article should have familiarity with IT based projects, in addition to basic knowledge of Microsoft Office products that will be used on this article. Always when you read my blogs, Gray paragraphs are there for extra illustration, you can safely skip them if you don’t want to understand to go with details. Section 1 – Explain the real case scenario (Leave Request). Section 2 – . Exploring Business perspective. Section 3 – Exploring IT Perspective. 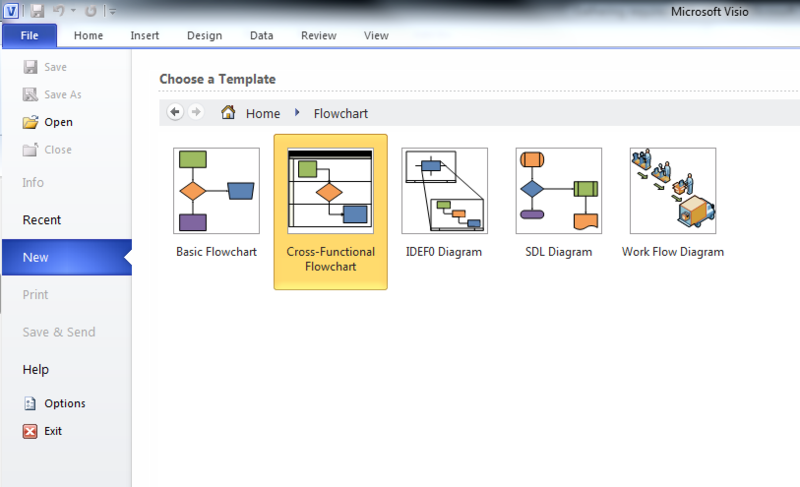 Section 4 – Implementing the diagram with OneNote & Visio. Leave request is one of the most common scenarios that may be found in – almost – every company, although this process is very simple and basic; I believe that it is very suitable for the purpose of this article since – almost – everybody is familiar with this process and a lot of its activities can be found in many other business processes. ”An employee decided to request a leave; he fills the form describing the purpose and time of the leave, then his team leader will either approve or reject his request, after that the HR (Human Resource Employee) will either approve or reject this request”…. that exactly what you will hear from a normal business user. Define Actors: The first and the most important data that you need to gather about the process is the actors (people who are participating in the process); In our business process; we have three actors: Employee, Team Leader and HR. Define Activities(Human Activities): Activity represents any interaction between user and a form ( i.e. 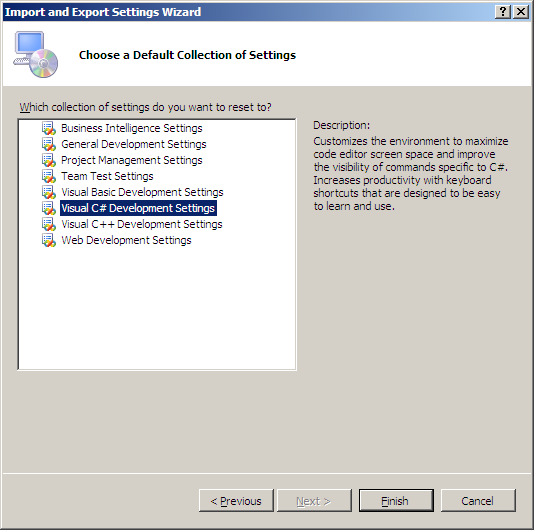 ASP.NET or InfoPath form) so you need to define these activities; we have three activities; Employee Submits Leave, Team Leader Approval and HR approval. Starting and ending activities: Always define the start up activity and closing activity. Parallel and serial paths: some times workflow takes a parallel shape where more than one actor can participate without the need of waiting the other to finish his task(call center scenarios may be also considered), our case is purely serial process. Nested calls: some times one activity calls another process, or finishing a process considered a startup of a new process. Actors relationship: ask you self, after finishing this activity; who is the next actor? 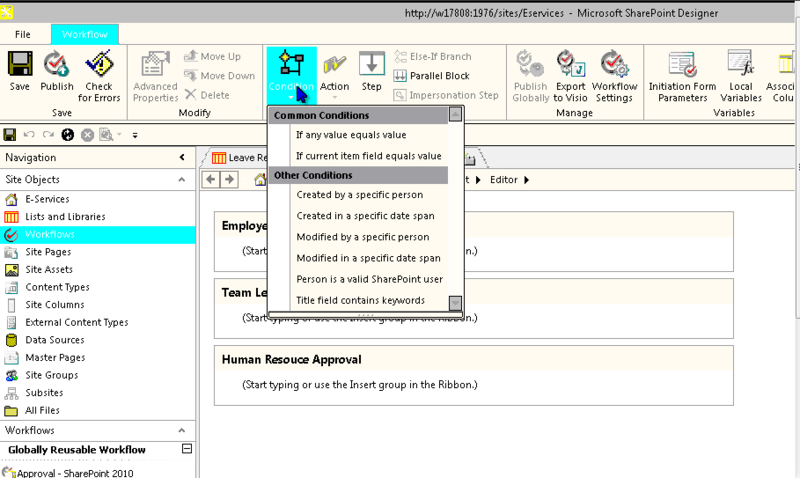 ; for example; if the employee submit his leave request; which team leader should continue the process ( we may have more than on team leader in the department) is it his direct manager on the Active Directory; or there is some business database that store each employee with his team leader or there is one team leader for all the employees. Your quote at this level is “Devil is in details” , so try to summarize as much as you can at this step. As you can see from the diagram, activity that comes on the space of the actor indicates that this activity is done by him; for example; Employee Submission activity is clearly done by employee as it comes on the area next to employee. 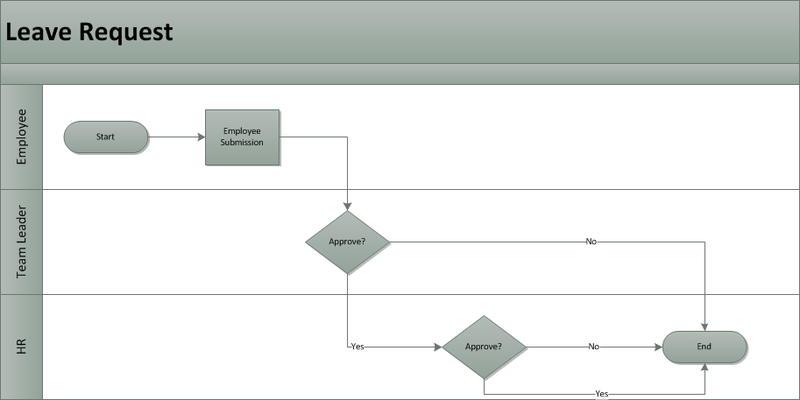 Although the name sounds technical; this section should also be handled by business analyst (the person who is gathering and documenting the requirements), remember that the previous Visio diagram is useful to to document the process in a more tangible way; but still doesn’t mean anything for the developer and still open for a lot of debates from the client side. Remember that diamonds and squares doesn’t count for developers; what counts for technical people is forms, clicks, database and code and so forth, so let us try to enhance this diagram to meet developers expectations! If we want to talk IT word; workflow consists of the following components: Actors, How to reach the form, Data to entered, Data to be viewed, decisions, Security, Business constrains, input Validation, Emails and Tasks. We will discuss all these components in details taking in consideration that we have three activities; that means that we have three slots of these components. Employee Submission: the Actor is Employee. Team Leader Approval: the Actor is Team Leader. HR Approval: the Actor is HR. 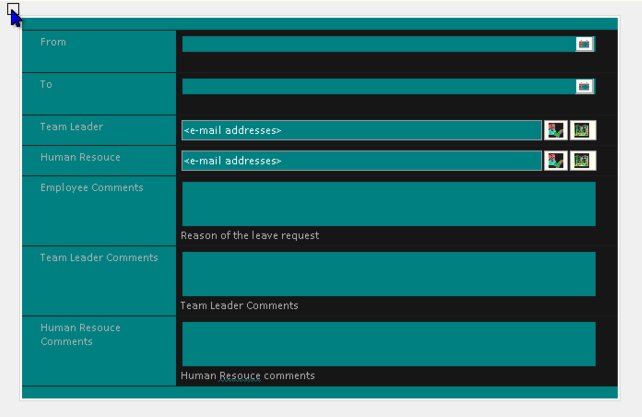 Team Leader Approval: will fill a comments box. Data to be viewed: Data to be viewed is the data that user will see on the form (this data facilitate and aid the user in taking the decision ). Employee Submission: current leave balance for this year and the name of his team leader. 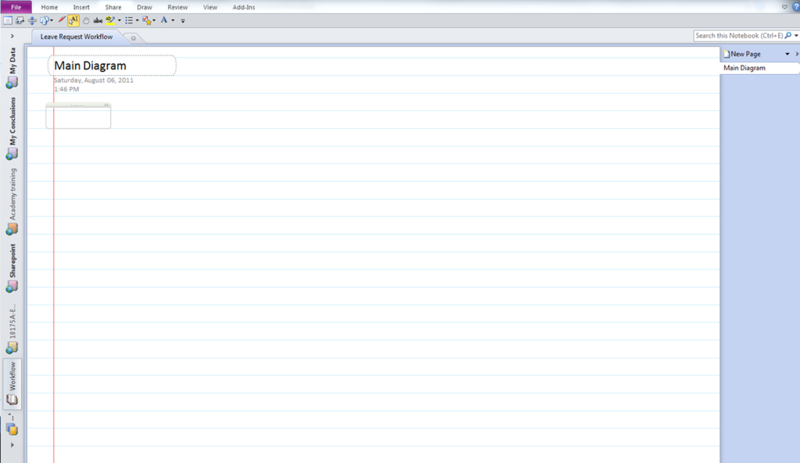 Resource sheet and current project status. Comments provided by Team leader. Security: in our case it is Employee ( normally it is equal to the actors, but in some cases different users can do the same activities but with same permission set). User cannot request a leave if his leave balance equals to zero. User cannot request a leave if he has got an HR warning letter in the previous two months. Reason: Required, should be a free text that is less than 50 character. Email: Email notification that will be sent upon doing this action. An email will be sent to Team leader. A new task will be assigned to team leader. Security: Team leader Can do that. Comments: not required, less than 50 character. Security: HR Can do that. Custom triggers: (Some times called system activities) these are automated actions that are done by the system it self as a reaction of executing and activity, a good example of this is an insert into a databases or a call to a web services that communicate with external systems. Employee Submission: No custom triggers. HR Approval: Here once the leave is approved; an update statement will happen against the Human resource database to subtract the value of the leave request from employee leaves balance. This is the most existing section! 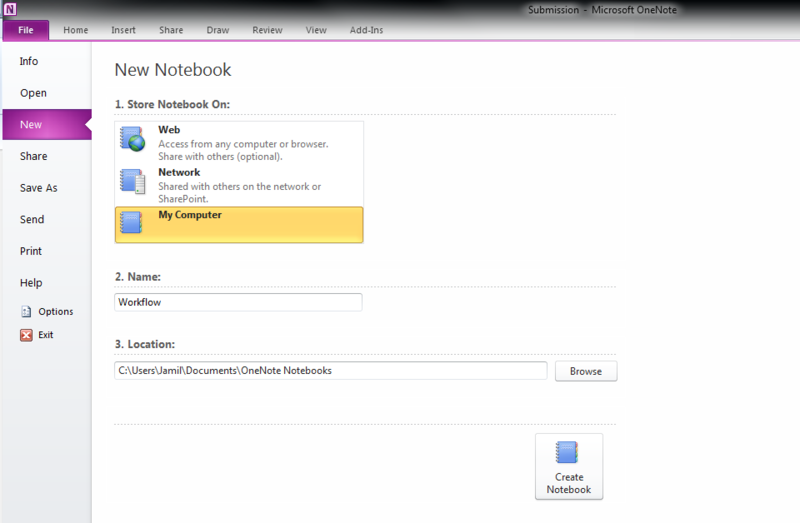 Section 3 was just a detailed explanation of what we will be done here, let us start utilizing Microsoft OneNote ( which is –in my opinion – the best tool Microsoft ever done), I am using OneNote 2010 but you can use earlier or later version of the product, so here we go! Rename the Untitled Page to Main Diagram. 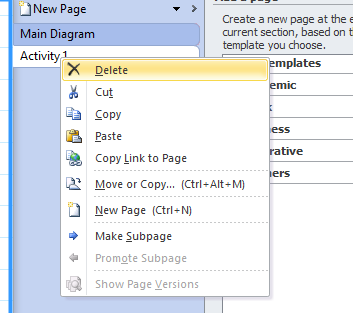 Delete the Activity 1 page. Do the same for the next two activities. 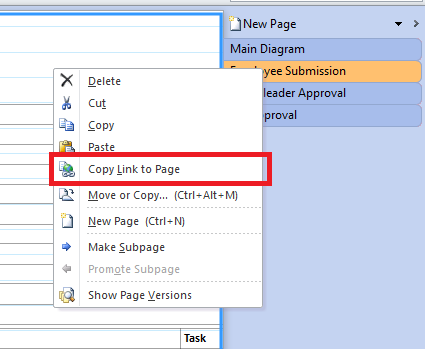 Now start linking the pages with email of those “Details” labels; so Right click on Employee Submission || Copy Link to page. As we have seen, this article is just a way to organize your ideas before you visit the client and start requirements gathering, following this practice in details is not required; it is better to deal with this article as a baseline and check list of what you need to ask about when you are analyzing a process, you can also use the tools-based techniques in accelerating the process of gathering requirements and have easy to deal with documentation that can be good source for developers and designer to start sketching and development. 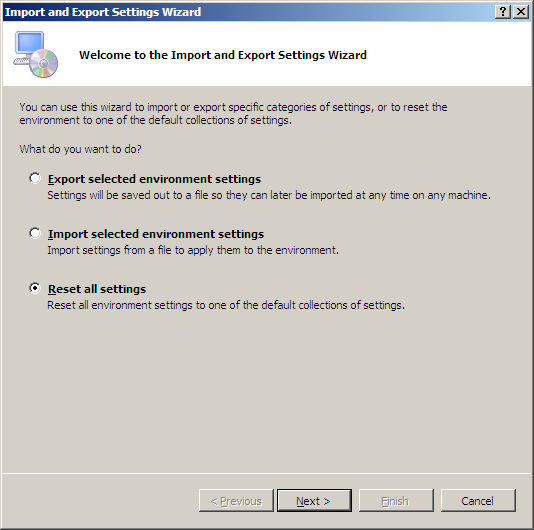 this works for sure on VMware workstation 5.0 and 6.0 versions.